The RX-RDP is a cloud-ready thin client designed and optimized specifically for Microsoft Remote Desktop Services and our VERDE VDI platform. Powered by Raspberry Pi3, the RX-RDP provides a rich PC-like experience in an affordable, energy-saving device with a small footprint. For organizations using Microsoft Windows Server or VDI infrastructure, the RX-RDP provides a simple-to-deploy, centrally-managed, high-performing virtual desktop. RX-RDP features full-screen, full-motion HD multimedia playback with support for Microsoft RemoteFX and NComputing vCAST Streaming, WiFi connectivity and built-in transparent USB redirection achieving unparalleled peripheral support. Enabling the Microsoft RemoteFX feature for RemoteApp or Remote Desktop connection greatly enhances the user's visual experience. RemoteFX delivers a higher-quality user experience than RDP alone because they have advanced codeing and graphics virtualization. Host systems equipped with supported graphic cards will especially benefit. 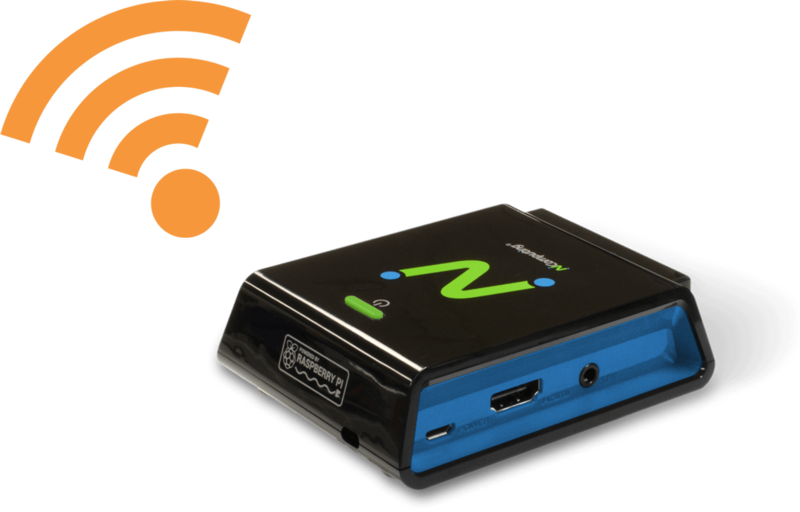 SuperRDP sofware is powered by NComputing vCAST Streaming technology. vCAST delivers direct streaming to your endpoint devices, reduces the overall server-side CPU usage for web videos like YouTube, Vimeo and local media content without the need for expensive GPUs. By conserving server-side hardware resources and bandwidth, SuperRDP enables more concurrent user sessions to be run at the same time while ensuring the same high level of HD video streaming experience. 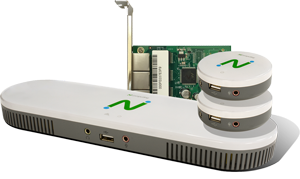 The NComputing SuperRDP server pack is available through your reseller (SKU: SuperRDP-PREM-VC-P). 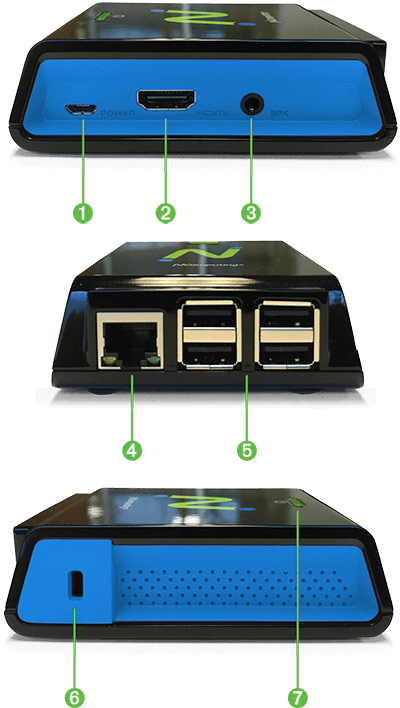 With integrated transparent USB redirection, RX-RDP utilizes device drivers from the server side to provide extensive peripheral support including mass storage, smart card readers, audio devices, printers, imaging devices (e.g., webcams), serial devices, HID and custom devices (identified by Vendor ID and Product ID). Enhanced single-touch and multi-touch screen support with built-in calibration tool are supported in native RDP connections. Integrated PMC device management software makes deployment and management quick and easy. The RX-RDP is easily configured using PMC Device Management software by NComputing. An admin can remotely manage RX-RDP devices over local and wide-area networks, including locations behind firewalls and NAT-routers through an easy-to-use, web-based user interface. PMC comes with automatic discovery, check-in and configuration provisioning of new devices making deployment easy. Administrators setup device profiles complete with all settings and configurations, then push the profile to individual or grouped devices. Only a few clicks are needed to schedule device firmware updates, access the summary dashboard or view the detailed event logging. Users are always up-to-date with the latest technology. RX-RDP comes with built-in 10/100 Ethernet and WiFi (802.11 b/g/n) with Personal and Enterprise 802.1x security authentication support. Organizations are no longer bound to the wiring infrastructure and can deploy RX-RDP in any location with Wi-Fi access to deliver the desktop experience. Add a second screen with the optional Secondary Display Adapter (SDA) for added screen real-estate and increased productivity. The SDA has an HDMI port and does not require an external power supply. Simply plug it into one of the USB ports on the RX-RDP. The SDA works with both RX-RDP and RX-300 (pictured above). 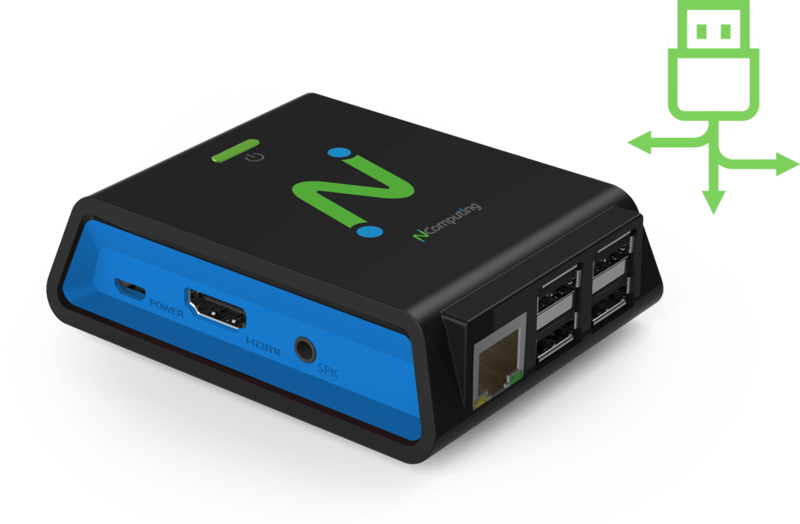 RX-RDP is a cloud-ready, Wi-Fi enabled thin client for Windows, built on the latest Raspberry Pi 3 platform and optimized for Microsoft RDS (RemoteApp, Remote Desktop Connection) and VERDE VDI deployment. Easy deployment and central management of the virtual desktop environment make the RX-RDP ideal in SMBs and education. 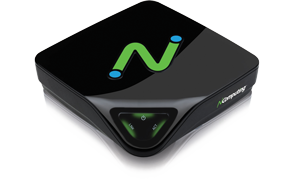 The compact RX-RDP device offers the lowest acquisition cost of NComputing’s product families. 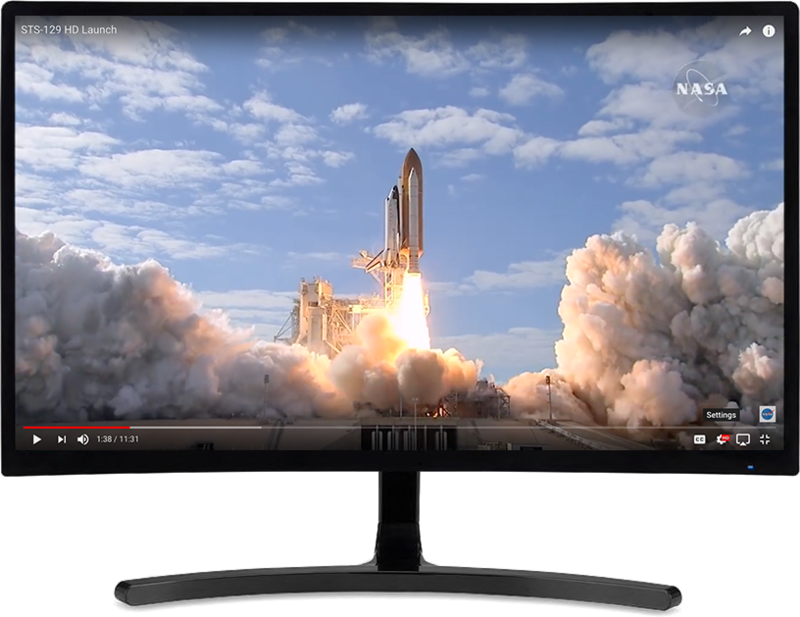 RX-RDP features full-screen, full-motion HD multimedia playback with built-in transparent USB redirection achieving unparalleled peripheral support. Dual Monitor Support allows an added screen for increased productivity (requires additional hardware module). RX-RDP comes with integrated PMC Device Management Software for centralized management regardless of locations. 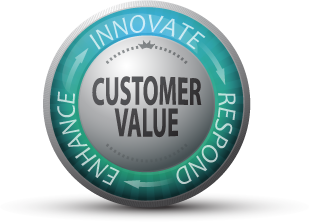 RX-RDP is the ideal product to provide the perfect balance of functionality for customers with Microsoft RDS or VERDE VDI infrastructure. 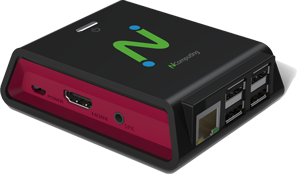 RX300 is our flagship product which provides the most compatibility with popular thin client connection modes, including vSpace, VERDE VDI, RDP and Raspbian Linux. See a comparison matrix between RX300 and RX-RDP here. What are the key benefits of using RX-RDP? Optimized for Microsoft Remote Desktop Services (RDS) and VERDE VDI deployment. How can I get more out of RX-RDP with SuperRDP? SuperRDP Server Pack is an optional software add-on to your Windows host machine, powered by NComputing vCAST Streaming technology. 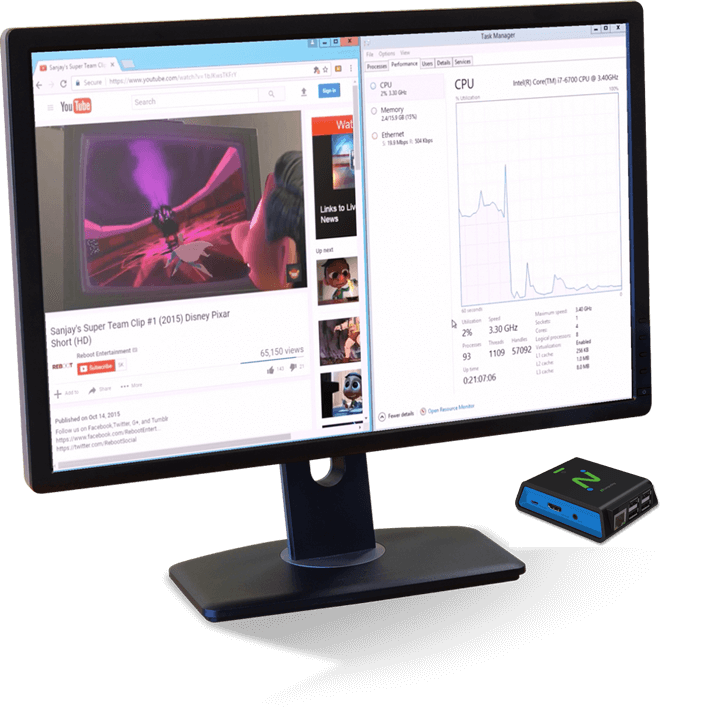 vCAST Streaming, supported by both RX-RDP and RX300 thin clients, reduces the overall server-side CPU usage for web videos like YouTube, Vimeo and local media content without the need for expensive GPUs. Separate license is required for NComputing SuperRDP Server Pack. The license is based on a per-server basis. How can I centrally manage my RX-RDP devices? The RX-RDP is easily configured and managed using the integrated PMC Device Management software by NComputing. 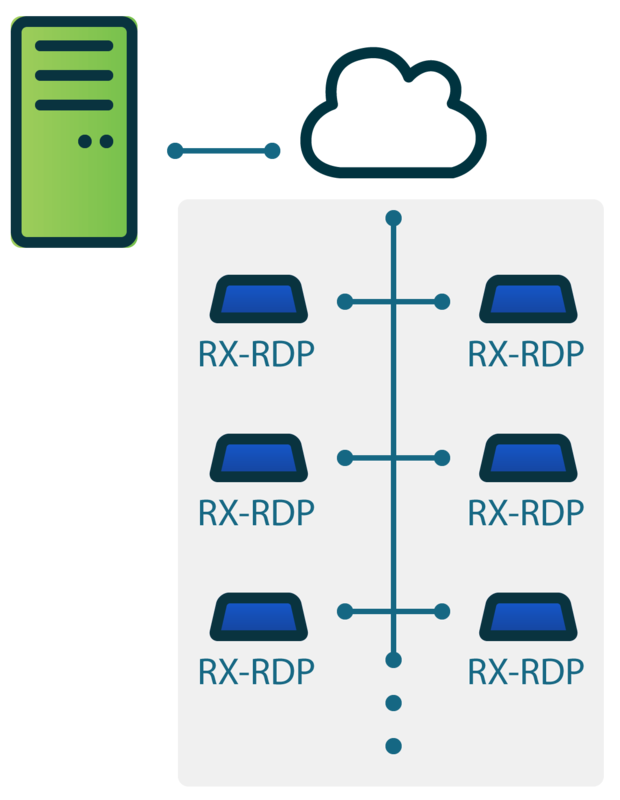 An admin can remotely manage RX-RDP devices over local and wide-area networks, including locations behind firewalls and NAT-routers through an easy-to-use, web-based user interface. PMC comes with automatic discovery, check-in and configuration provisioning of new devices making the deployment easy. Where can I learn more about NComputing PMC Device Management solution? Click here to learn more about NComputing PMC Device Management solution. Does RX-RDP support dual display? What is the size of the RX-RDP and how much power does it consume? Width: 76 mm / 3 inches, Depth: 93 mm / 3.7 inches, Height: 30 mm /1.2 inches. It can fit smoothly in your pocket. It consumes less than 5W of power. What do I get when I purchase a new RX-RDP device? RX-RDP comes with a perpetual PMC Device Management Software license for that device, a 1-year hardware warranty, and first-year AMP for RX-RDP for firmware and PMC software maintenance update. VESA mount kit and power supply are included. What are the additional licenses required for RX-RDP? Optional SuperRDP Server Pack license (to allow for vCAST video streaming in RDP session). Optional AMP for RX-RDP subscription for subsequent year software maintenance update and enhanced support. How long is the warranty? How do I purchase the optional extended warranty? The warranty for the RX-RDP is one year from the time of registration in the NComputing Management Portal. An optional extended hardware warranty is available and can be purchased through an NComputing reseller or via the NComputing Management Portal with a credit card or PayPal. The extended warranty is only eligible for RX-RDP devices that are already under warranty and must be applied to a specific device. Once the extended warranty has been allocated to a device, it cannot be changed/removed. Admins can log in to the NComputing Management Portal --> My Devices and click the ‘Serial No.’ of the device for the details. Automated email reminders will be sent approximately 30 days prior to the current device warranty expiration date. What is the software maintenance update policy? Each RX-RDP device comes with a 1-year subscription to AMP for RX-RDP. This allows the device to receive firmware updates applied locally or pushed from NComputing PMC Device Management Software. When AMP for RX-RDP expires the device can no longer receive firmware updates. 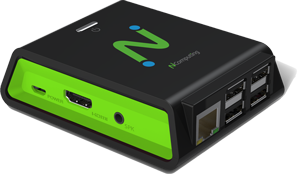 Subscription to AMP for RX-RDP must be purchased and applied to the device in order to once again be able to push firmware updates from NComputing PMC Device Management Software. What is AMP (Annual Maintenance Plan) for RX-RDP? AMP for RX-RDP is a software maintenance and support program provided by NComputing to allow RX-RDP devices to receive the latest firmware updates. Each device must have its own current AMP for RX-RDP license to continue to receive firmware updates. Why should I register my RX-RDP device? Registration automatically enables management using the NComputing PMC Device Management Software. Extended hardware warranty and extended AMP for RX-RDP software maintenance can only be applied to registered devices. Can I connect RX-RDP device to vSpace Pro software? No. RX-RDP only support RDP protocol. vSpace Pro software uses NComputing’s proprietary UXP protocol which is not recognized by RX-RDP. Does RX-RDP support Raspbian desktop mode? No. Only the RX300 thin client can optionally boot into the Raspbian desktop mode. Where can I download RX-RDP firmware and how to update? 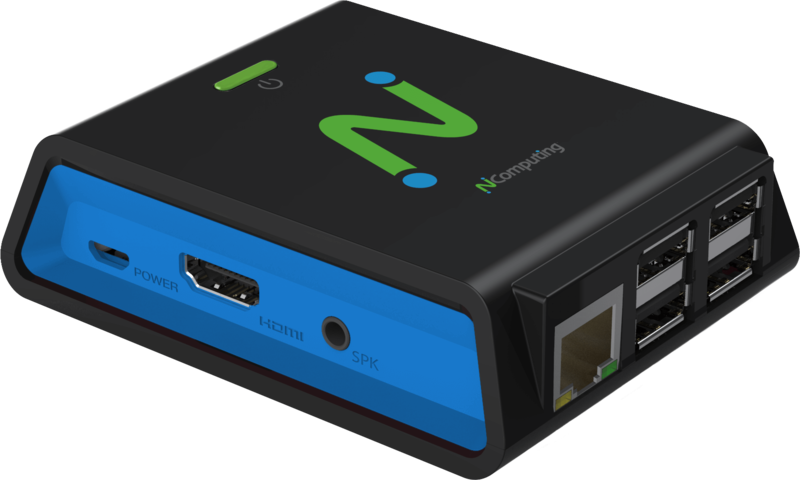 RX-RDP firmware can be obtained from the NComputing software download page. 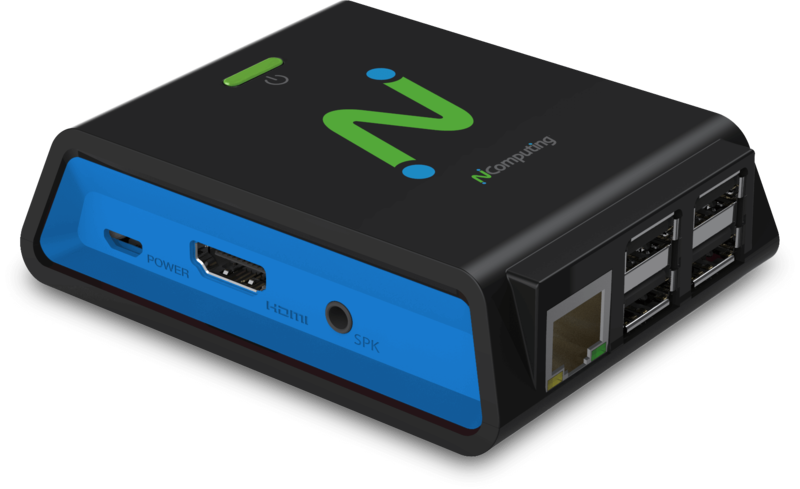 During the first year (after registration) the firmware can be applied directly to the device (using FTP or web URL) or pushed from the NComputing PMC Device Management Software. After the first year the device can only receive firmware updated from NComputing PMC Device Management Software if the device has an active AMP for RX-RDP software maintenance update license.